In your journal, include a list of “needs vs. wants” in a new home. This doesn’t mean you can’t have what you want in your home, but rather that you have a priority list of the most important features. 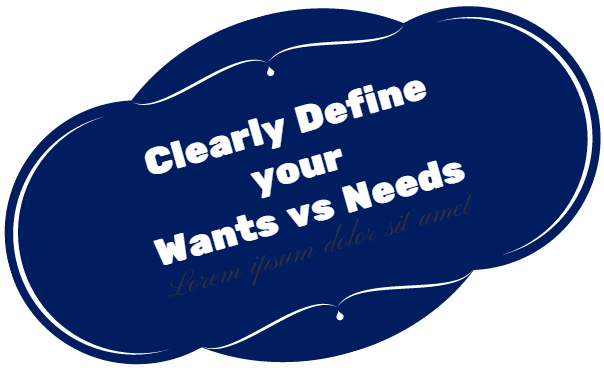 You may not be able to obtain all the “want” items on your list, within your budget. You may have to compromise on a few items to stay in line with your budget. Below is an example of Wants vs. Needs.